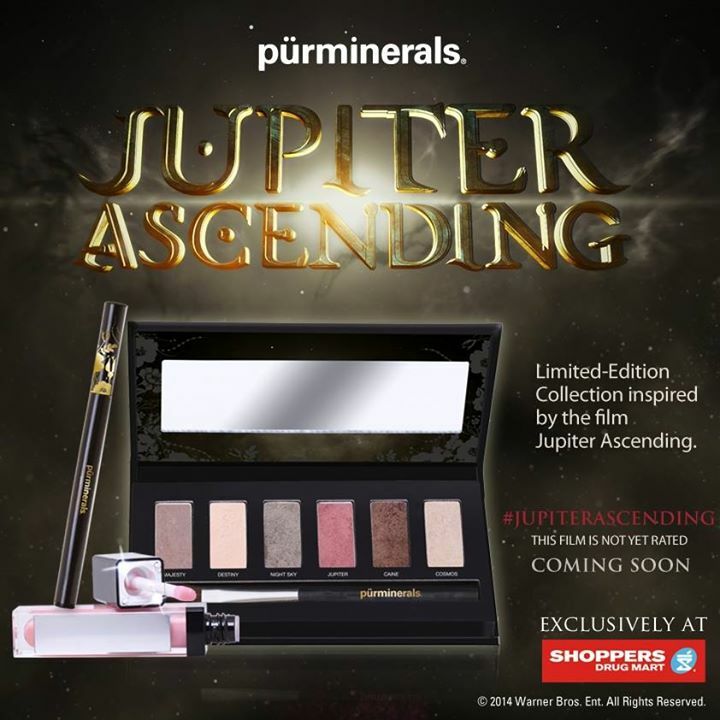 There's one more thing to love abut the upcoming Jupiter Ascending movie (other then Channing Tatum being in it) - a cool little makeup collection inspired by the film from Pür Minerals! Pür Minerals Jupiter Ascending Collection - $35 - includes an eyeshadow palette with six new and exclusive shades: Majesty - pale taupe, Destiny - cream, Night Sky - slate, Jupiter - rose, Caine - mocha and Cosmos - iridescent white along with an Eye Shadow Brush; a light-up pout enhancing lip gloss in Galaxy - pink; and a liquid Precision Eyeliner in Outer Space. Available now for a limited time at Shoppers Drug Mart.